I love cooking. I grew up in Bangalore, India. I started cooking when I was a ten year old, learning the intricacies of North Indian cooking, making different kinds Indian breads …. basically, rotis and paranthas… Later on graduating to using spices, making homemade chutneys and masalas. It is fun try new dishes from cuisines all around the world as well. Off late, I have been enjoying some Eastern European cooking, the use of the root vegetables, tartness of lemon, sour cream and the blending of herbs like dill with spices like paprika is interesting. 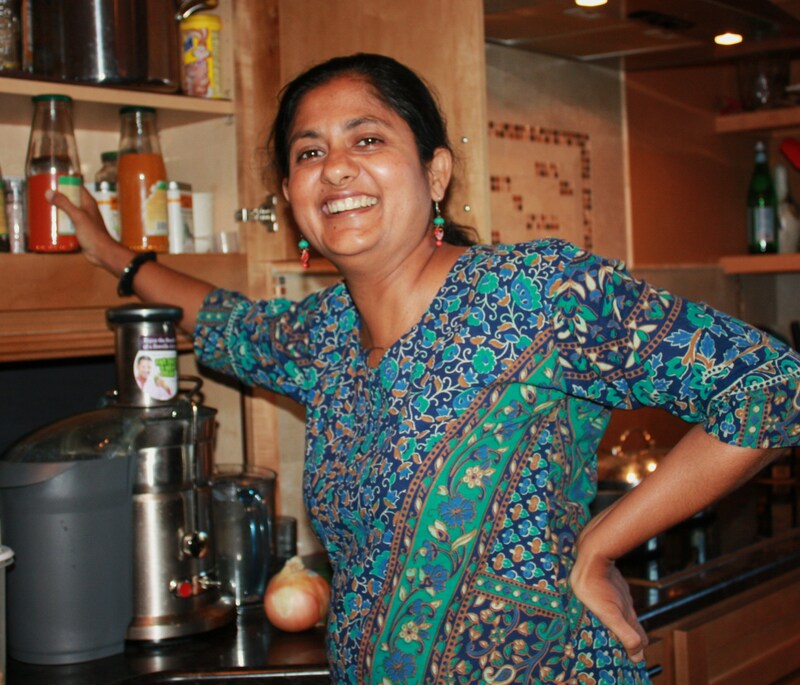 Interestingly, I learned the art of South Indian cooking in Michigan, from my ( South Indian)neighbor who was an excellent cook and made her own spice blends. It has been almost 20 years since I have been cooking for my family, friends, gatherings and fundraisers. I have enjoyed teaching little kids about spices and simple Indian cooking. Now, with my older son in college, I have more time at hand and a desire to share my passion of cooking with my community. I like to wonder about life and write as well…I started blogging my musings at www.Ishmusing.blogspot.com, then something was missing. So, I started a cooking blog.When I am not cooking I may be writing or reading or musing or hiking or volunteering or simply doing nothing!